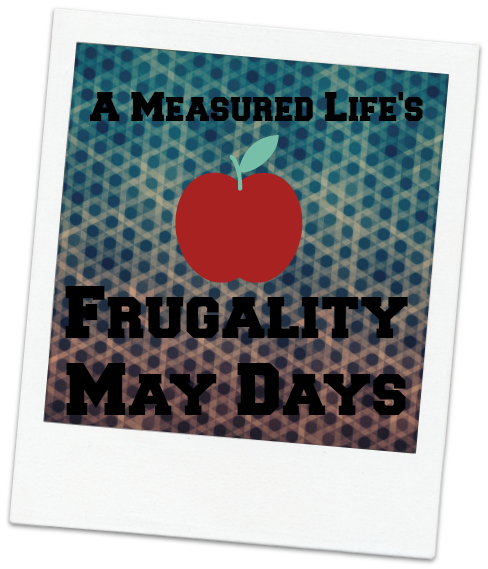 This is the final week of Frugal May Days, and I’m ready for it to be over. I’ve REALLY enjoyed saving the money and will continue to find deals via iBotta and coupons. But keeping a detailed record of every cent I’ve spent and spending sometimes three hours or more writing these weekly recap blogs has been sort of exhausting! I will, however, continue to share with you my really good deals, because I love those! So without further ado, Week 4! This was the first week this month that The Hubs went grocery shopping with me, because his schedule had changed at work and now we have the same days off again! This was both a blessing and a curse: a blessing because I didn’t have to push the cart or carry the bags inside, a curse because when I’m alone I’m in THE ZONE, and when he’s there he distracts me. He was good though, and didn’t stray from the list. First off was Produce Junction. The Junction never lets me down! All of this for $10.25. Next up was Shoprite. Remember how last week I told you I was promised a $1 credit to my Price Plus card and it didn’t show up? I also didn’t get a $3 digital coupon credit THIS week. NOT HAPPY, SHOPRITE. 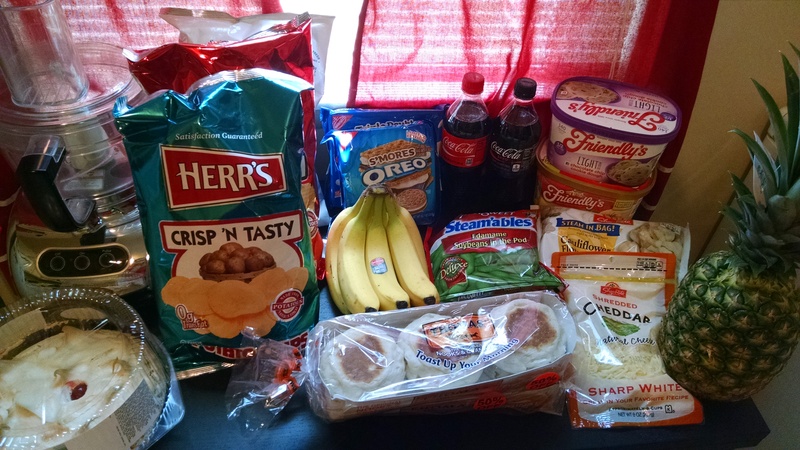 (Since writing this, I’ve called Shoprite and it turns out my $1 DID come off… when The Hubs went to grab something. They were also going to credit the $3, which has also been applied, so I counted it here.) Deal of the day was Oreo cookies for $1 a package. They were on sale for 2 for $5, I had a $2 digital coupon and a $1 manufacturer coupon! Next was Walmart. We did that thing where we went to a different Walmart than usual, which is always a terrible idea. They had everything we needed, except the coconut milk I needed. No worries, I’d grab that from our local another day. 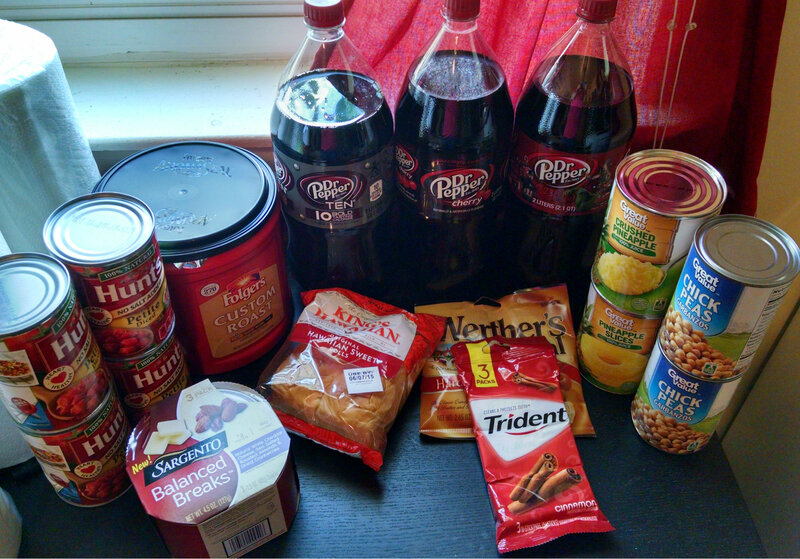 I had a $1.25 rebate from iBotta for the Dr. Pepper, and at $1 apiece, that meant I got all three for $1.75. The Dr. Pepper TEN is for me, and the other two were for The Hubs. The canned tomatoes were $0.98 apiece, I had $1 off iBotta and a buy 3 get 1 free manufacturer coupon, so each can wound up being just over 48 cents apiece. 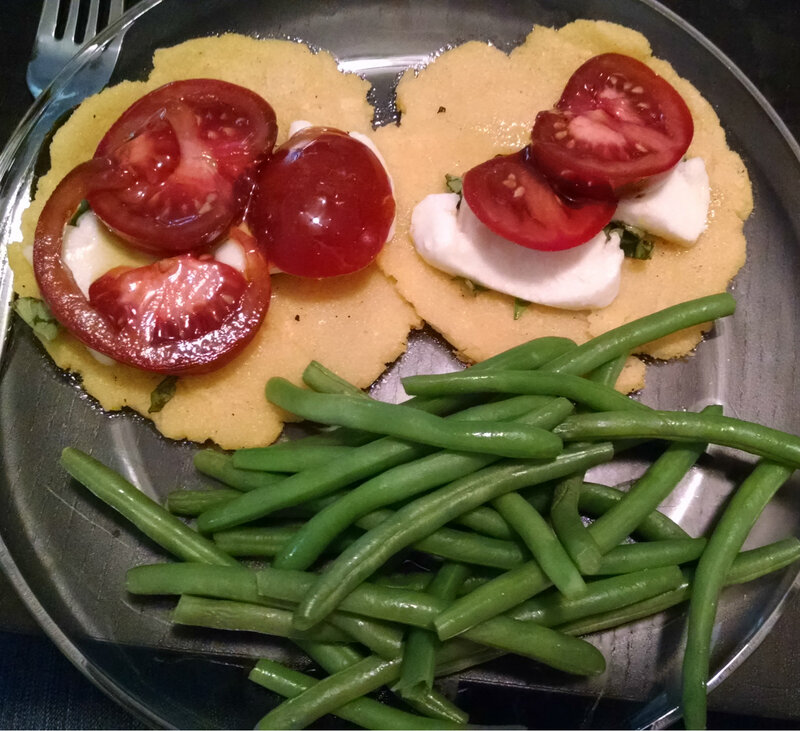 Dinner was Arepas Caprese with Steamed Green Beans! Memorial Day! 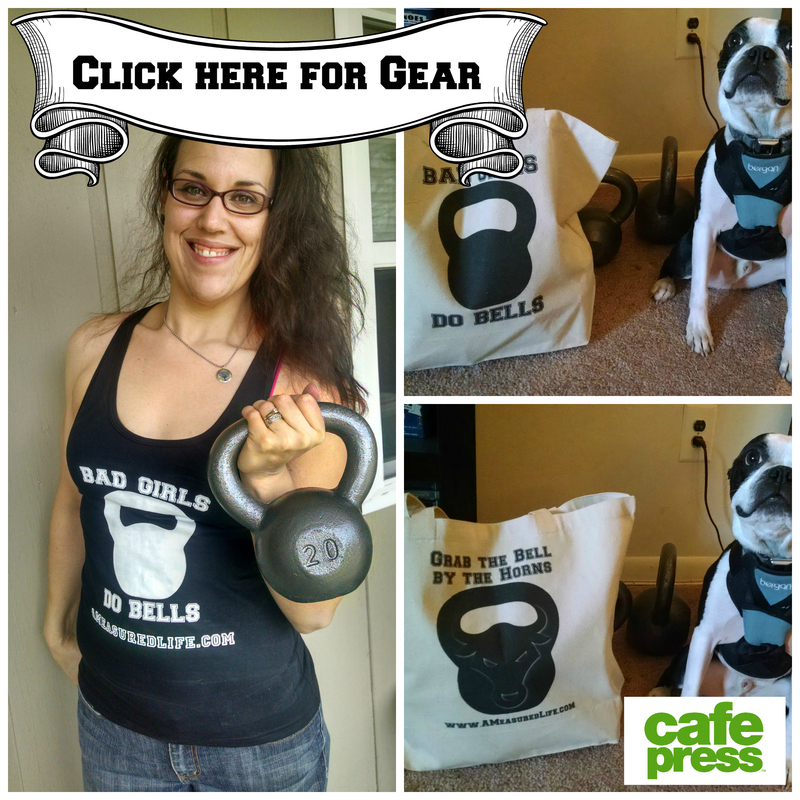 I did my ladder workout in the morning, we ate our lunches and then I went and walked dogs. We stopped at our local Walmart to grab coconut milk and a bag of cereal. 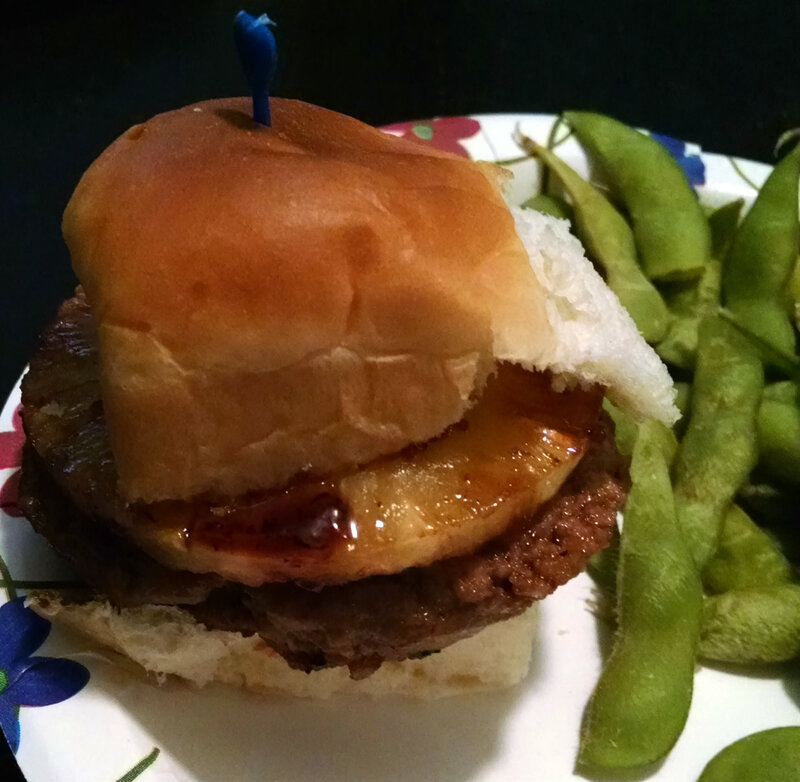 Dinner was Teriyaki Turkey Burgers w/ Pineapple Rings on Hawaiian Buns w/ Edamame. This night we had spaghetti and meatballs with tossed salad. No photos. Then we ran out to Aldi to get grapes at $1.29/lb and mangoes for 49 cents apiece. 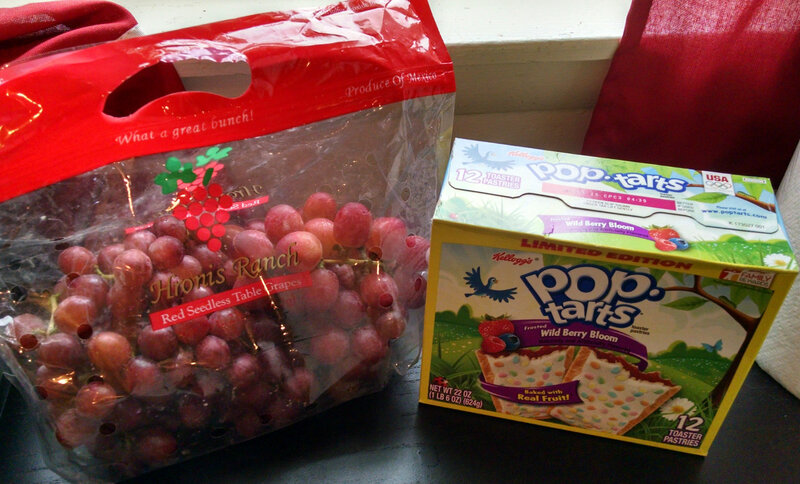 Well, no mangoes, but they did have the grapes, and we got The Hubs some PopTarts for $1.88 for a 12-pack. 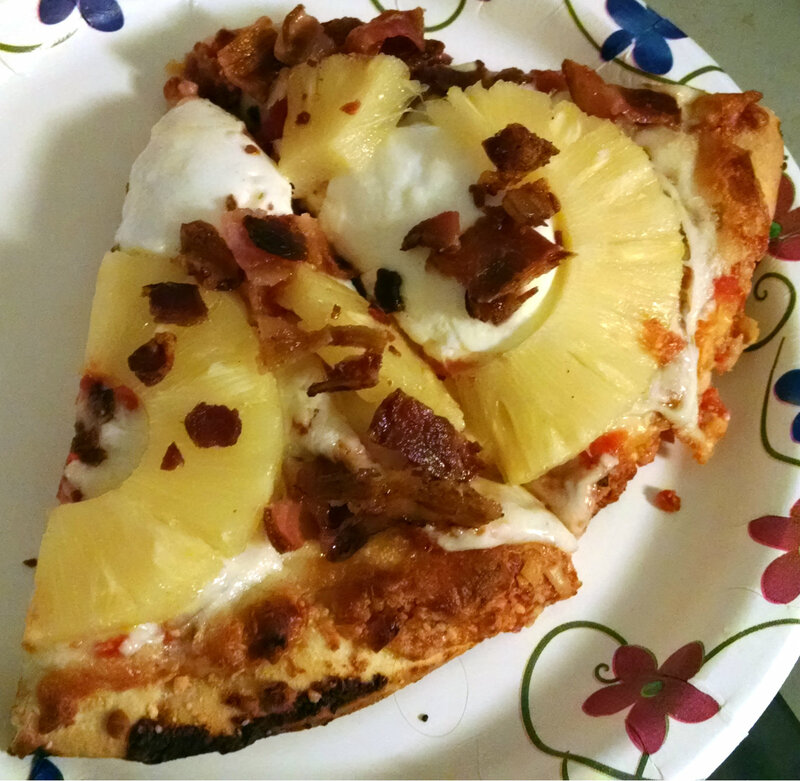 Thursday is my late day for work so we had a delicious frozen pizza (Screamin’ Sicilian) to which I added leftover bacon and leftover pineapple! SO GOOD. Yes, there is a hair in my pizza. But it’s MY hair, and MY pizza. I know where that hair has been. Spend-free day. 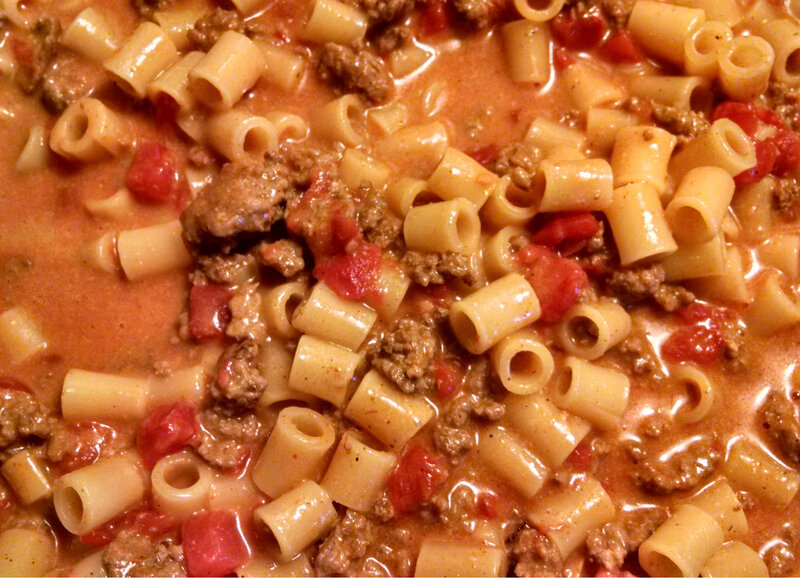 Made homemade Chili Mac Hamburger Helper! It was soooo goood. Spend-free day. 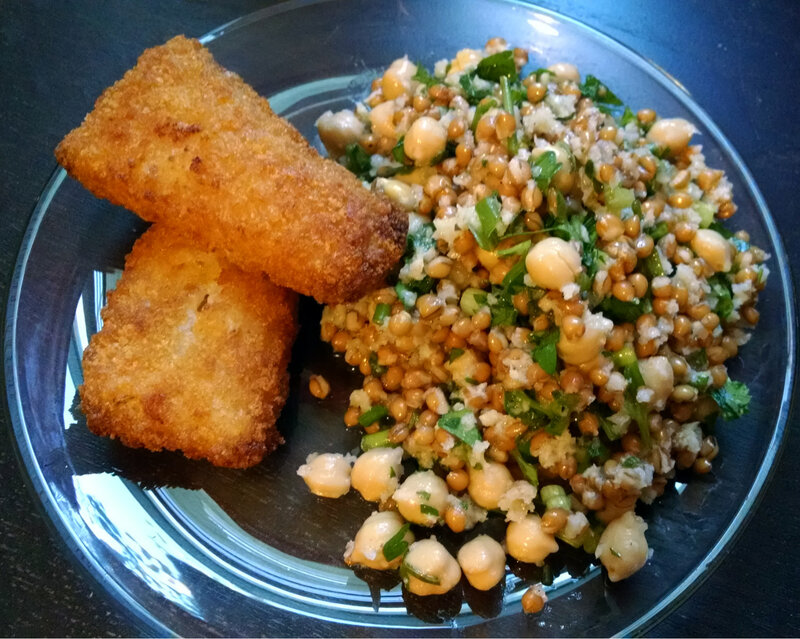 Dinner was Lemony Herbed Wheatberry & Chickpea Salad with Fried Fish. This salad was really delicious and holds up well in the fridge. Not far off from tabouleh. I think I ought to do a freezer cleanout next, haha! Did you get any amazing deals this week? 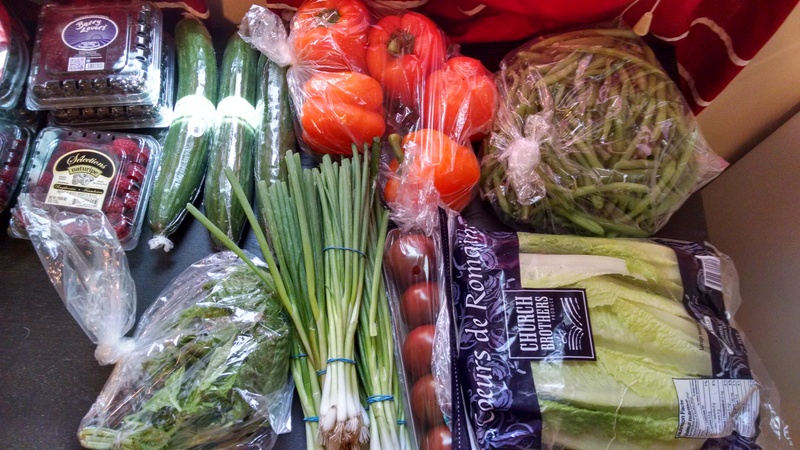 Will you try your own frugal month? just happens to be a very frugal month for me too with many big bills due, so it has been timely to read your posts. As we all exit this month, I agree – let’s still seek bargains and try to stay on course – but now for some relaxing of the discipline, some spontaneity, and fun! Happy June! I am very lucky to have a place like Produce Junction. You can also get some really good deals at Asian supermarkets, if you have any of those around. Hope your frugal month went well, love you! Which program do you use at Acme? I use the MyMixx app!